Choosing a wedding venue is one of the biggest decisions a bridge-and-groom-to-be has to make. With so many fantastic options, it can be difficult to figure out which is the perfect one for the happiest day of your life. Choose any of the 10 best wedding locations in Nevada and you’re sure to have a day—and a venue—to remember. Established in 1947, the Tannenbaum Event Center provides a gorgeous backdrop for events ranging from family gatherings to your perfect wedding. Their website asks you to “envision an elegant lodge locale, dramatic wooden beams, towering open ceilings, a double-sided stone fireplace” and more. Contact them directly to hear from their on-site event planners and to personalize for your budget. The Red Hawk Golf Resort in Sparks, Nevada is more than just a golf course. They have excellent wedding packages, too. 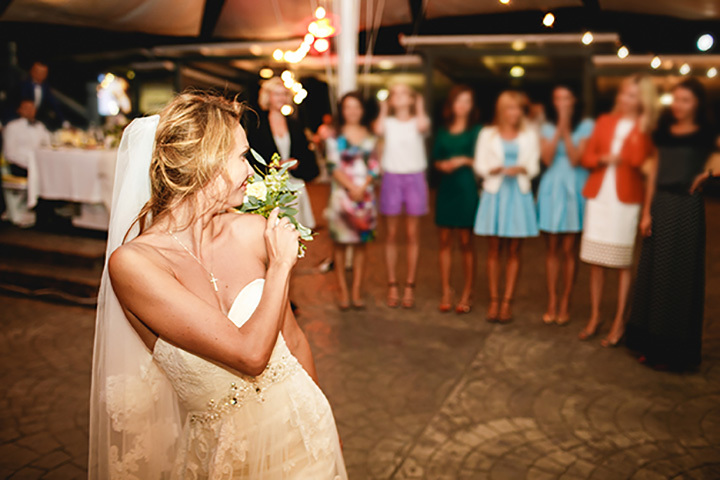 Choose from four different locations on the resort, depending on the size of your wedding, and enjoy their all-in-one packages, including food and beverage service, floral and event design, and more. Little Chapel’s reputation recedes it. For over 60 years, it has been the go-to weddign spot on the Las Vegas strip. They’re known for their “affordable, all-inclusive wedding packages,” which include ceremony, reception, flowers, and more. If you’ve always dreamed of a quickie-Vegas wedding, this is the spot you’ve been waiting for. Get married overlooking Lake Tahoe at the Chateau at Incline Village. At the Chateau, you can enjoy “vaulted timber ceilings, large stone fireplaces, spacious covered decks and expansive mountain and lake views.” The Chateau is a 2017 Couples’ Choice Award winner. A Bridge’s Choice and Couple’s Choice Award Winner, the Plaza at Whitney Ranch in Henderson, Nevada offers multiple a la carte t for your wedding ceremony and reception. All the pricing is available online and is totally transparent, so you know exactly where your money is going and don’t have to worry about hidden fees. The venue, with its spiral staircases, is gorgeous, too. Las Vegas is one of the wedding capitals of the world. Whether you’re looking for a simple wedding ala the Little Chapel or a more elaborate affair, Vegas has the perfect spot for you and your soon-to-be-spouse. On the other end of the wedding spectrum from the Little Chapel, we have the MGM Grand. A huge, gorgeous retreat, their wedding packages are sure to give you exactly what you need. The Corley Ranch in Gardnerville is a real working ranch in which the workers raise pumpkins, cattle, and more. This adds an authentic, down-home feel to any wedding ceremony. Wedding packages start at just $5,500 and includes a five-hour time slot, rehearsal time, space for 250 guests, and more. Check out their website for all the details. Edgewood Tahoe in Stateline, Nevada, offers casual comfort as well as classic refinement. Relax with your wedding party at their golf course or spa before saying your “I-do’s.” According to their website, “for those who seek personalized service, fine-tuned attention to detail, and an aesthetic that’s nothing short of ethereal, no other venue will do.” We concur. Wolf Creek Golf Club is a world-class course in Mesquite, Nevada, that also offers world-class wedding service. The course overlooks incredible desert beauty. Wedding packages include buffet options—make sure to reach out directly to get a personalized package. Piper’s Opera House is on the National Register of Historic Places. It opened in the 19th century and “was an important stopping point for theatrical tours of North America.” Today, it remains a go-to for live music, tours, and weddings. Rent the entire opera house for a day “to make your wedding into a theatrical production or at least a themed event.” Contact them directly for full details.